"Thanks for the care, and hope to see you again for an annual checkup!" "Always helpful and courteous. I like their fancy machines - feels like a video game." "Dean Optical is close to the perfect experience you can have in this business." "The exam was very thorough and the fit on my new glasses is the best I've ever had." "Dr. Dennis DeLee has been assisting all of our family members for over 30 years." "A friend recommended Dr DeLee, who is experienced, very professional and super friendly." "Dr DeLee is an expert in the field..."
"Dr. DeLee and Dr. Meifert are great and provide excellent care." "Dr. DeLee is awesome - he really listens and pays attention." A leading provider of quality vision care products and customized, optometric services since 1921, Dean Optical serves our patients in the Financial District of Chicago and the surrounding areas. Our experienced, caring doctors at Dean Optical offer comprehensive eye exams and specialize in diagnosing and treating a plethora of eye problems, diseases, and conditions. To provide patients with the best eye care services possible, the doctors at Dean Optical only use the most innovative diagnostic technology and eye care products available. Our patients are wowed with our technology. So are we. Our doctors genuinely care about the welfare of the patients they serve. The doctors at Dean Optical provide exceptional personal service and beneficial education to all the patients that walk thru the door. 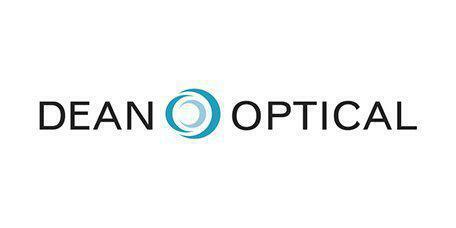 Dean Optical wants to be the gold standard in eye care for our patients in Chicago and the surrounding communities. Call today to schedule an appointment or consultation. When Comfort Meets Performance - Get Your Contact Lenses Now! Dean Optical works with many insurance carriers and payment plans. "I am never disappointed at their level of concern for my health as a patient and in general if everything is okay. Highly recommended." "I've purchased glasses and contacts through the office multiple times as well, and the staff is always friendly and helpful. Highly recommend." "Very friendly staff, easy to work with my company's vision insurance, found me a great pair of glasses that I could afford, and received the new pair within 24 hours." 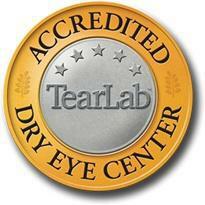 "Their equipment is far superior compared to other eye doctors I've been to. My prescriptions have always been spot on and haven't had any issue." "I have been a patient of Dr. Dennis DeLee for many years. He is a consummate professional, conscientious and thorough when it comes to treating his patients." "This place is AWESOME, top notch service. Price point on the product can be a little steep, but the service out weighs it." "Dr. DeLee and his team go out of their way to make the appointment as best as possible. Even I admit that some of the stuff is pretty cool-"
"I have been going to Dean Optical for over 30 years...Dr. DeLee is the best. Professional, latest technology, thorough, and funny too." "I've been seeing Dr. DeLee for nearly 8 years now, and have always had a great experience with him and others in the office." "Dr. DeLee and his staff are great. I've seen all the doctors and I highly recommend Dean Optical." "Dr. DeLee always takes wonderful care of my whole family! Because he is so wonderful we continue to travel to the city, even though I prefer avoiding it."